Every person experiences his or her own journey to healing and self-discovery. My role is to provide a safe space for individuals to get in touch with their own hidden potential and uncover what internal barriers hold them back from living their lives with joy and ease. Sessions are approached from a traditional counseling perspective as well as a holistic perspective, giving consideration to the overall mind, body, spirit, and emotions of the person. In this way, we work together to uncover any old conditionings or unconscious patterns and beliefs that no longer serve you so that positive life transformations can take place. 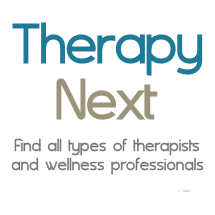 My clinical training includes a Master’s degree in Clinical Mental Health Counseling from Kean University and a Bachelor’s degree in Psychology from Queens College. I have also received training in holistic modalities including Resonance Repatterning, Family Constellations, Energy Kinesiology, and certifications in Reiki I and II. I am passionate about the healing arts in all forms and welcome opportunities to expand my understanding of the human experience to better facilitate my clients’ journey. I look forward to working with you towards the profound changes you are hoping to achieve.